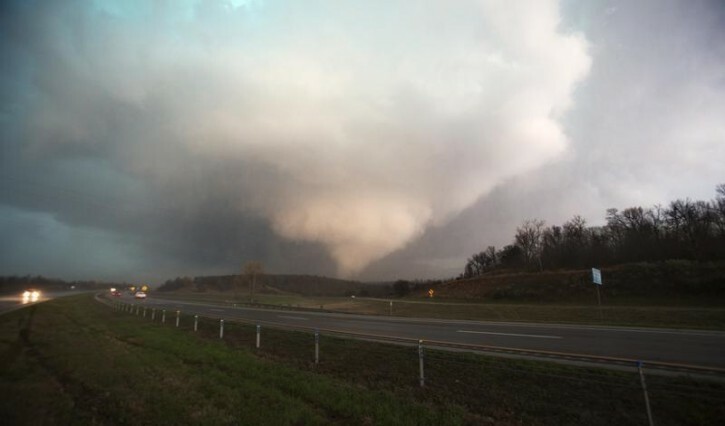 Austin, TX - A veteran storm chaser covering the deadly tornadoes in the Dallas area over the weekend was choked and threatened with a knife by a man he initially thought was in need of help, he said on Monday. Jeff Piotrowski said he saw the man by the side of the road about 40 miles northeast of Dallas and slowed his truck down to see if he needed assistance. Instead, the man ran toward his vehicle and tried to attack him. “He lunged at me through my truck window and grabbed my throat,” Piotrowski told Reuters, adding this was the first time he had been attacked in the 40 years he has been chasing storms. Victor Rodriguez, 28, has been arrested in the case and charged with aggravated assault, possession of a controlled substance and resisting arrest, the Collin County Sheriff’s Office said. Piotrowski, an award winning photo journalist whose footage of storms has been seen on numerous TV shows and news broadcasts, had to swerve his truck back and forth to break the suspect’s grip from his throat and eventually got away. A deputy responded to the scene and arrested Rodriguez, the sheriff’s office said.